Happy Monday everyone! I hope all those in the path of Hurricane Sandy remain safe! I just wanted to take a minute to talk scarf knitting. As a beginner, one of your first projects will probably be a scarf. There are a number of reasons for this, such as the fact that you needn't worry about calculating gauge, and you don't have to do anything fancy. A simple garter stitch scarf is a very nice thing to have. I do have a video, How to Knit a Scarf, in which I talk a little about how to make your own scarf. The video is just basic, very general information - pick some yarn, needles, a stitch pattern, and off you knit. There have been a number of rather passionate comments on this video (which I have deleted), in which knitters don't find the video helpful or informative, or they just don't understand the point of the video. Some do not like the sped up portion of the video (there is a time limit on uploaded videos on YouTube, thus the speeding up). As I said, the video is just general info, and it is really meant to be used just as a jumping off point. It is assumed that the knitter already has a grasp of casting on, knitting/purling, and binding off. 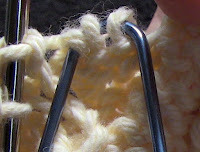 The video is not meant to teach a specific knitting technique, nor is it meant to show you step by step how to knit a specific scarf, which is what some seem to think it is. Since there has been so much ..... fluff.... over this video, I have decided to do a series of scarf videos for beginners. These will be step by step, from cast on to bind off. Due to time restrictions of YouTube, the entire video will not be able to be uploaded, as it would be several hours long. I will do my best to give as much coverage to the knitting of the scarf as I can. I don't have a time frame on these videos. I have a very busy non-knitting life, and it does take time to knit something. It also takes time to write things up, make the video, edit the video, upload the video, etc. I will start these as soon as time permits. 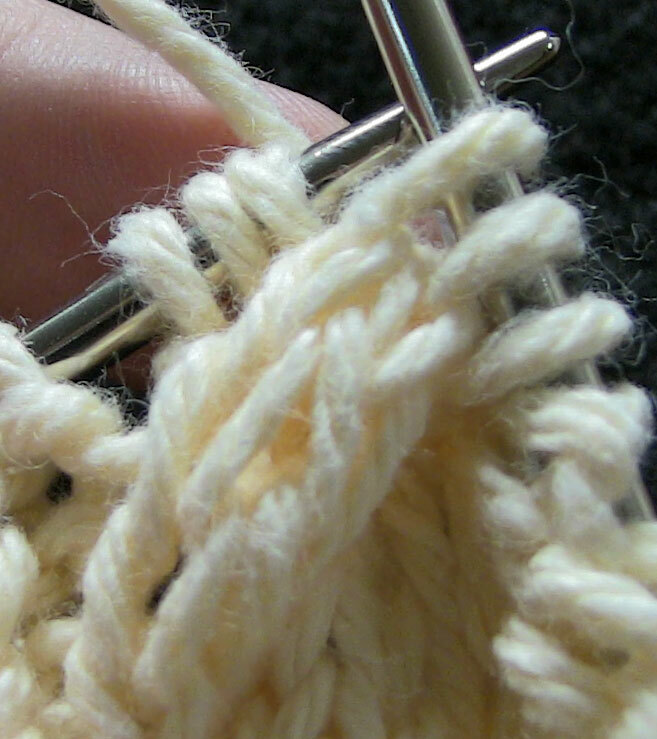 A lot of new knitters stay away from cables, because they seem difficult. To a non-knitter, a cabled garment is a very impressive thing, because cables look like something that takes a lot of work. In fact, cables are super easy to do! All a cable is, is a set of stitches worked out of order. That's it. 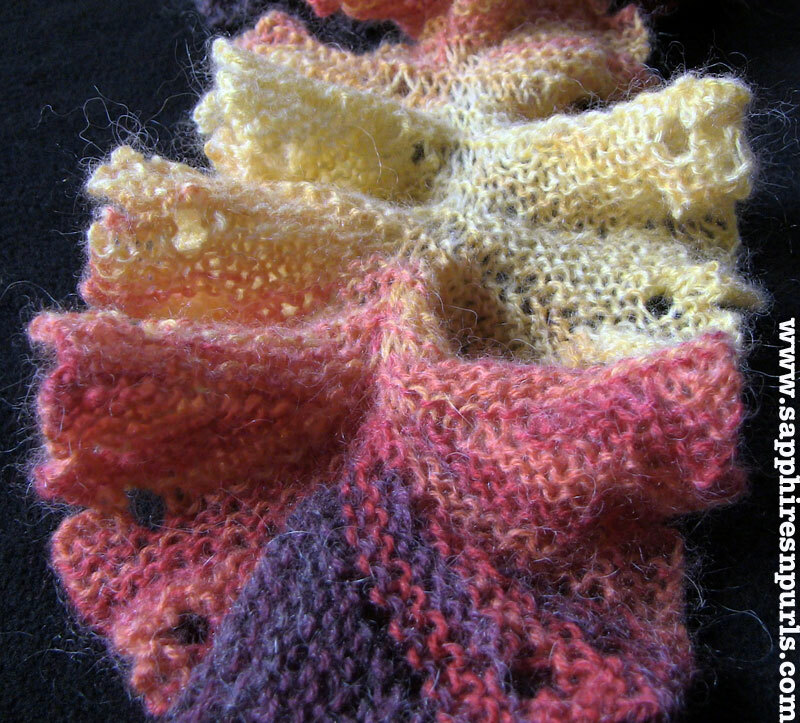 Cables can be knit with any yarn and any needles you like. You can make them thick or thin, on a reverse stocking background, or any background you like. There really aren't any rules (and rules are made to be broken anyhow, aren't they?!) as far as cables go. This is the first in a series of cable knitting. This is just the basics - types of cable needles, and general info on cabling. There will be additional posts and videos on reversible cables, cabling without a cable needle, working from a chart, etc. Let's start with the cable needles. There are a number of different types, and they are pretty much available at any craft store and your LYS of course. You can even use a DPN, which is my preferred way unless I am working with more than 3-4 stitches, otherwise I don't bother. 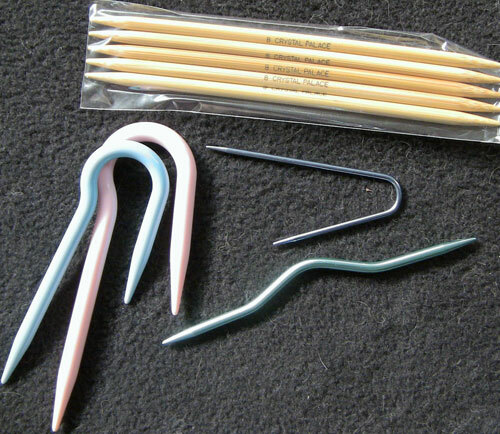 Here are some of the different cable needles, and a set of DPNs too. You don't want to use anything larger than the needle you are using to knit with, otherwise the stitches may get stretched. 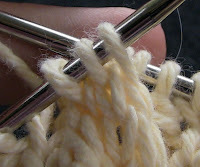 Stick with something as close to your needles size as possible; you can use a smaller cable needle, but then there is the possibility it may slip out of the stitches. 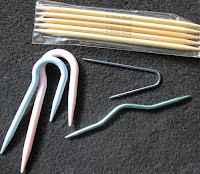 The U shaped cable needles are a good choice for going with a smaller size since they hang nicely and don't slide around much. You should use whatever is the most comfortable for you. As a general rule, the number of stitches wide your cable is, is the number of rows in between cables. For example, if you are knitting a 6 stitch cable, then you will want to cable on every 6th row. Of course, this rule isn't set in stone. You really don't want to work fewer rows because your cables will bunch up and just look like a lump of yarn. You can though, work more rows in between cables. 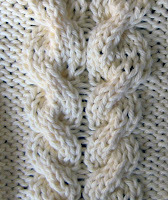 Take our 6 stitch cable; instead of crossing stitches on every 6th row, try crossing on the 8th, 10th, even 12th row. The more rows you knit in between cables, the longer your cables will be. Play around, do some swatching, and see what you like. It's up to you. If you look at the top of the picture of this 6 stitch cable, I have crossed stitches on the very next right side row after my first cable. To me, it doesn't look very good. If I were to continue in this way, the fabric would start to bunch up. Another generally followed rule is that you cross the same number of stitches over each other. A 6 stitch cable is worked by crossing 3 stitches over 3 stitches. You can change it up any way you like though. Maybe 2 over 1, 4 over 2. Your choice. Let's talk background stitches. A lot of cables you see will be worked in stocking stitch on a reverse stocking stitch background. This makes the cables pop and stand out. Again, this is not a rule that is carved in stone. 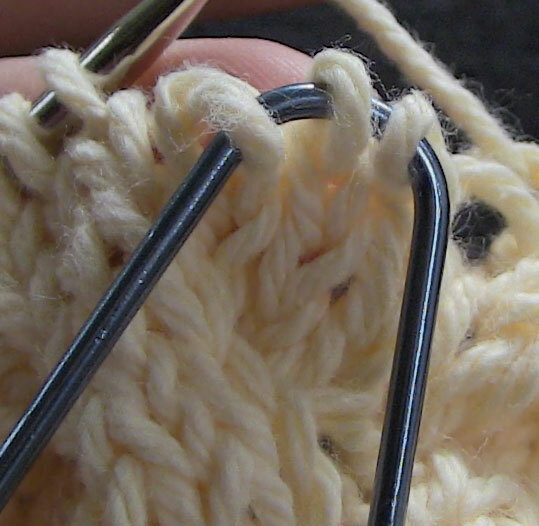 You can get equally pleasing results working cables on stocking stitch. This is another instance where swatching is useful, because you can play around with backgrounds and see what you like best. There is no wrong way to knit your cables. Whatever looks good to you, is the right way. You can also space your sets of cables as far apart or as near each other as you like. Now, for the cable itself. Some slant left, some slant right. 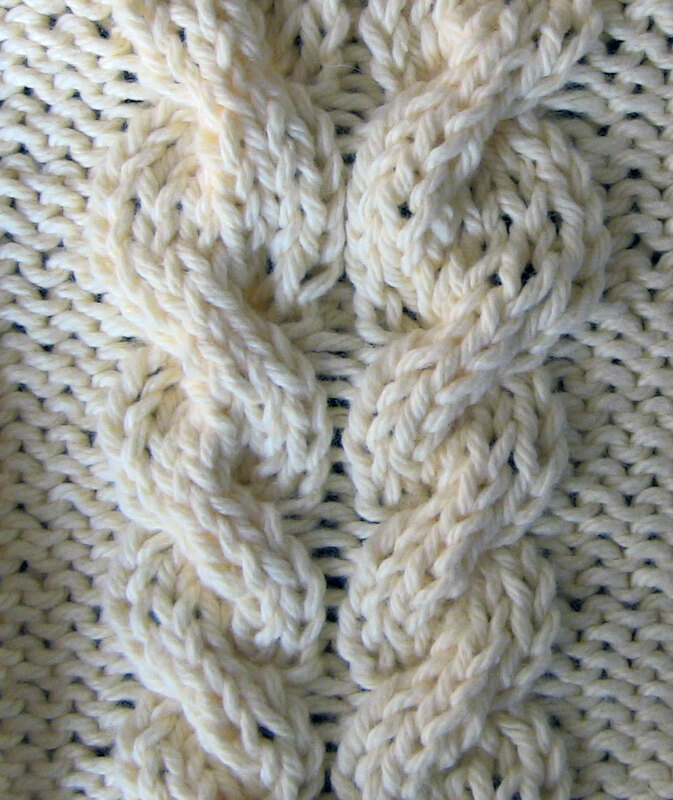 You may see patterns refer to cabling the stitches as cable left/right, twist left/right, cross front/back, or another similar phrase. The pattern should give instructions on exactly what the terminology means. Because I may use a term in a different way than another knitter, you shouldn't assume that we both mean the same thing even if we use the same wording. Everybody tends to word things in a way that makes sense to them when writing patterns, so be sure you read your instructions carefully. So, how do you make the stitches cross, or twist, or cable? Easy. If you want your cable to slant to the left, you will slip the required number of stitches to your cable needle and hold them in front of your work. Knit the designated number of stitches from the left needle, then work the stitches waiting on the cable needle. If you want your cable to slant to the right, you will slip the required number of stitches to your cable needle and hold them in back of your work. 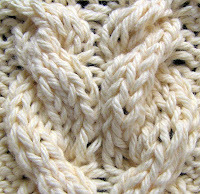 Knit the designated number of stitches from the left needle, then work the stitches waiting on the cable needle. There is always the internet. Just Google knit cable stitch patterns and you will get a good set of results. A final word about cables. Cabling tends to pull your fabric inward. This fact should already be taken into consideration with commercial patterns; if you are designing your own garment, you will need to be sure to remember this fact, and adjust the number of stitches in your pattern to ensure your garment fits correctly. I have never designed anything (other than a cowl) with cables, so can't offer much more advise. Knitting Paradise has a wealth of seasoned knitters who can probably answer questions on this topic in more detail, or try Googling the topic. This should get you started with cables. I will be back soon with more cables, stay tuned! Here is a short video on the info above. ...but a picture appears if you look at an angle! 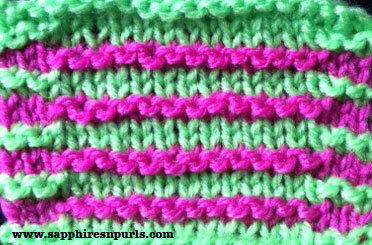 See the pink square in the center of the green border? It is the same as the first sample, but you don't see the square in the center unless you look at an angle. Neat, huh?! You may think this is a hard thing to accomplish, but it is actually very easy. 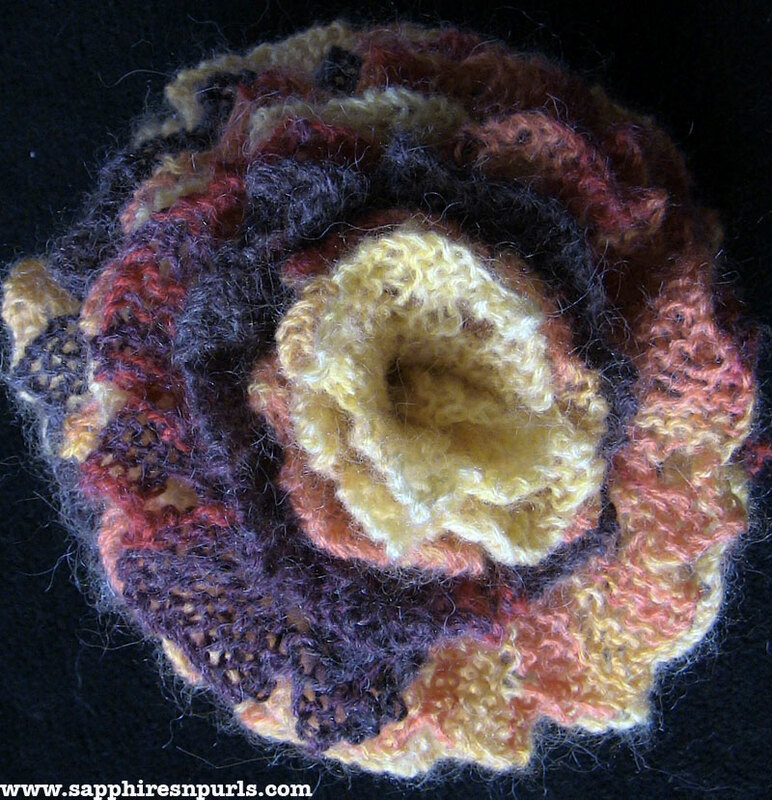 You only ever need to do knit or purl stitches, that is it. The picture is formed on the wrong side of the fabric; instead of purling wrong side rows, you will make knit stitches to 'draw' your picture. When you make a knit stitch on the wrong side of the fabric, it makes a bump on the right side - these bumps are what you see when looking at the fabric from an angle. 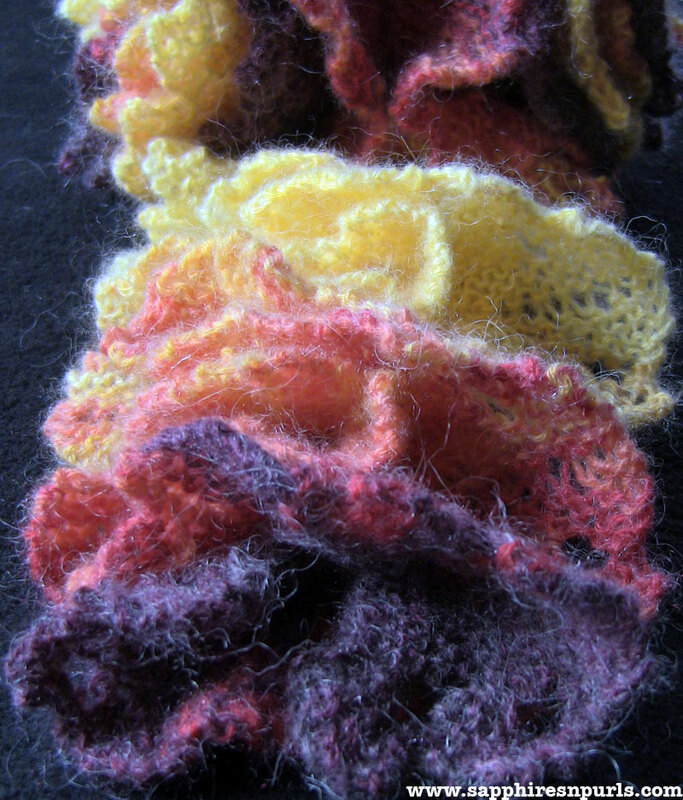 I like to think of shadow knitting as working with mountains and valleys. If you think about what you see when you look at a mountain range, all you see are the peaks of the mountains. The valleys are hidden. Now, for shadow knitting - the mountain peaks are the knit stitches forming the picture, and they are surrounded by valleys - the stockinette rows before and after the knit stitches. 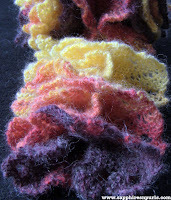 Working with two colors, you will always knit the first row of each color. Then, to make your 'valley' on the second row, you will be purling whichever stitches fall in front of your 'mountain peak', which will be worked on the second row of the next color. The method I used to create my sample is the one described in Margaret Radcliffe's book I note below. I am sure others have their own way of doing things. I will show these steps in the video. First, create your picture on graph paper. You can get some free graph paper here. 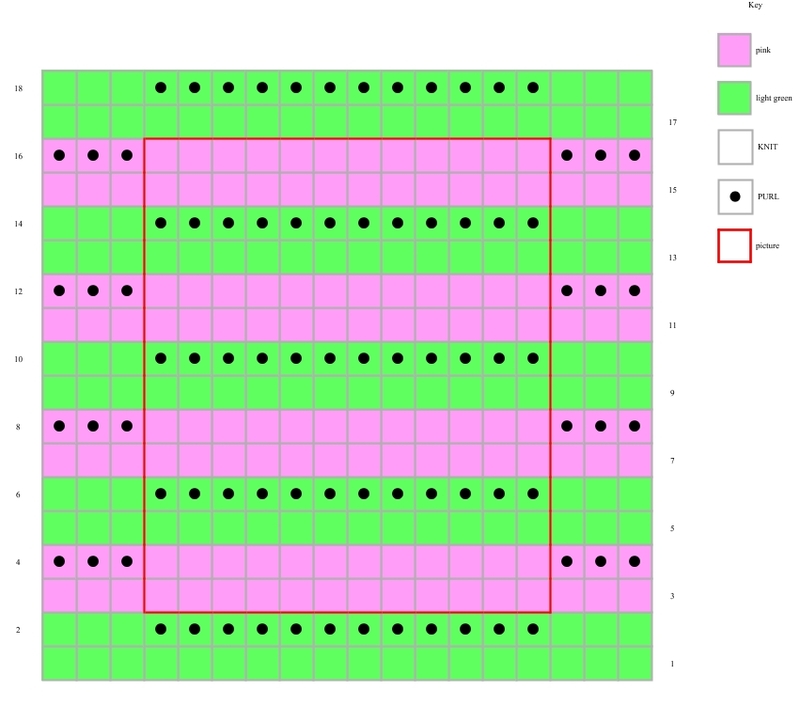 Next, you are going to redraw your picture, but this time put three blank rows in between each line of pattern. Then, redraw the picture one more time, adding three times the width to each line of pattern. Finally, draw an outline around your picture, keeping the lines on the sides right against the picture stitches, but one row above and below the picture. My next step is to fill in the rest of the chart with either knit or purl stitches. The picture is all knit stitches, and those are already drawn in. The first row of each color will be knits. For the second row of my background color (the green), I need to purl all stitches that fall in line with my picture, and the rest will be knits. On the second row of my picture color (the pink), I will purl all stitches before and after the picture. This probably makes no sense right now, but once you try a little sample swatch of this technique, it will make more sense. Work with two colors that have a great contrast - the pink and green I used in the sample above, or black/white for example. Small elements (one or two stitches) might get lost in the big picture, so you may be able to remove them from the equation all together. 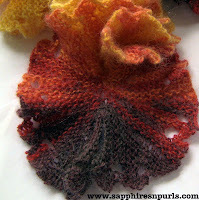 Below is the chart for the sample pictured above, and what we are going to knit in the video. 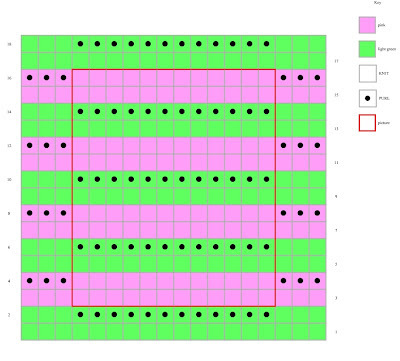 Your chart does not need to be created with knitting software or colored, like mine. You can use good old pencil and paper. And yes, you will probably want to use pencil instead of ink, because chances are you will need to erase and redo. I used pencil and paper for my initial workup of the pattern, just to show you the process. The chart below is just for the sake of neatness for this post, and so that you can see the finished chart clearly. You can also use colors to help keep track of which color you need to knit with on any given row, but that part is optional. I first saw this technique mentioned in Margaret Radcliffe's The Essential Guide to Color Knitting Techniques. I know, I know, you have probably heard me say I hate color work and fussing with all those extra balls of yarn. So why do I have a book on color work? It looked interesting to me, and I do like to get any information I can on knitting, even if it is a technique I don't often use or like. And of course, shadow knitting is so cool! If you like this knitting technique, you may also want to check out Shadow Knitting by Vivian Hoxbro. I do not have this book so can't vouch for it, but you can look inside via the link. I made a hot pad a few years ago, you can get the pattern by clicking this link. 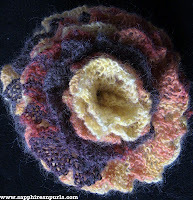 You can also see more shadow knitting goodness at Woolly Thoughts and at Fresh Isle Fibers. OK, moving on. Here is my chart for the sample I knit. It is very simple and to the point, only knits and purls. I colored it just to make sure I used the appropriate colors. And here is a brief video, just going over the above written stuff.